One of my favorite traditions is watching the Oscars and making a cheese board in my mom's honor. It's become a really special way to get creative and channel her energy. 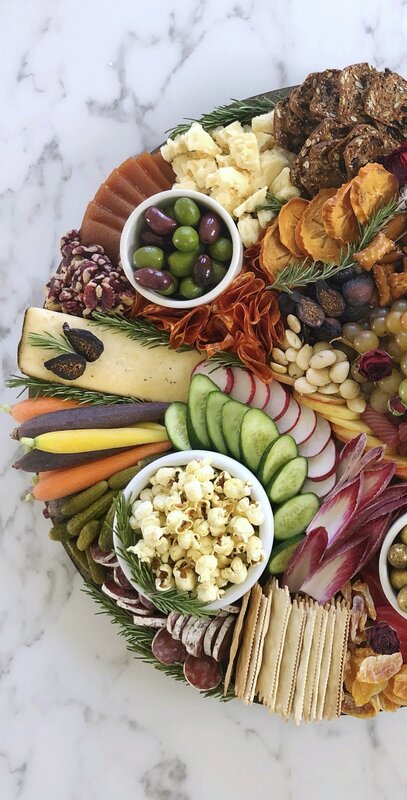 This year, the goal was to create a big platter to set out and enjoy for the whole show, with a little bit of everything. Equal parts sweet and savory, I wanted to make it slightly fancy with the chocolate-almond dip and edible star sprinkles, while still including some healthy options AND the obligatory “movie” snacks like popcorn and licorice. 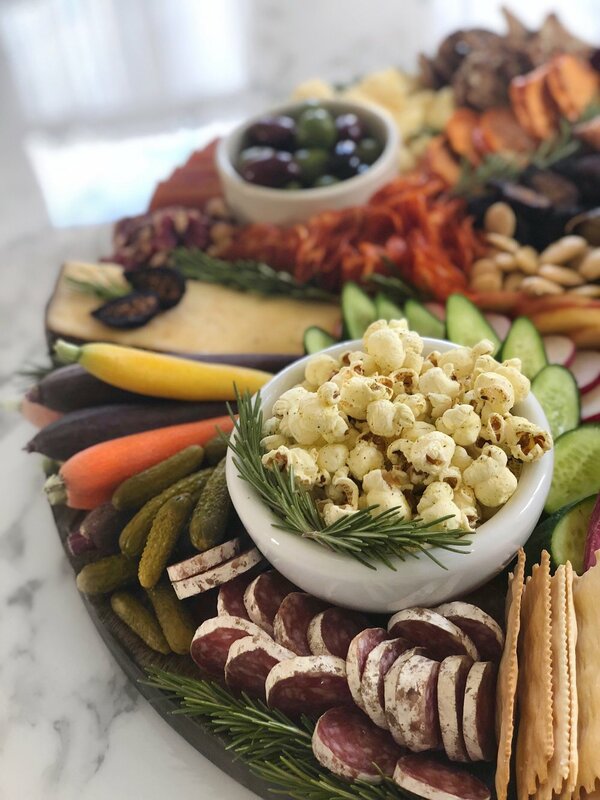 Herbed popcorn, mixed olives, assorted salami and cheeses, this side is similar to my typical cheese board offerings (with a fair amount of rosemary for garnish). With the chocolate/almond spread and edible gold stars as the centerpiece, I added lots of fun items for dipping. From assorted berries to peanut butter pretzels to caramel wafers and some fun rock candy, the range of dessert bites kept our sweet tooth satisfied throughout the show.